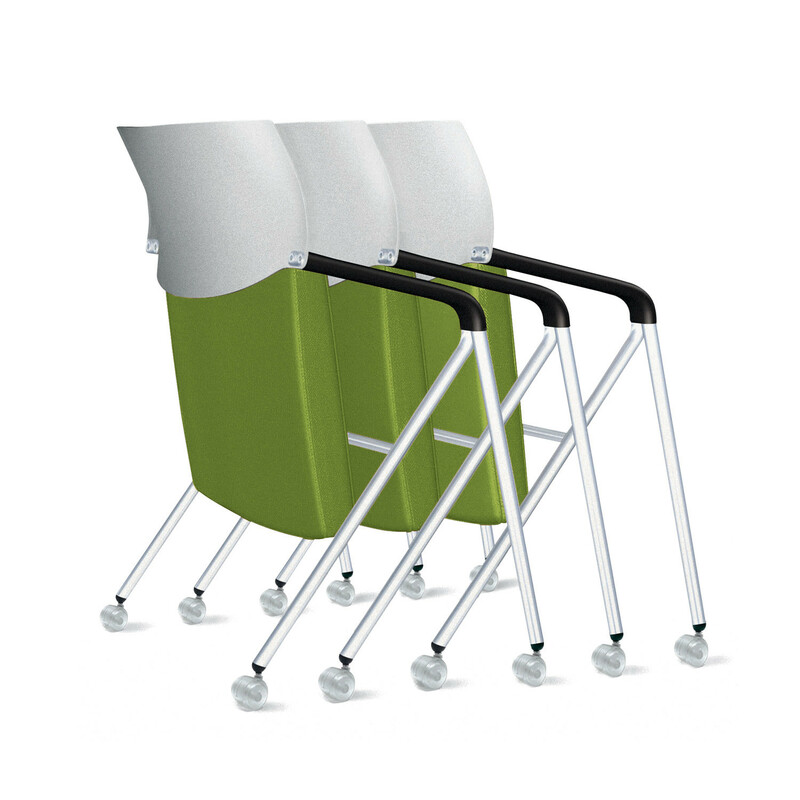 Join Me Chairs, within this line, are available in three different versions: nesting chair with mesh backrest, upholstered seat and PA-armpads; nesting chair fully upholstered with PA-armpads; and nesting chair with plastic backrest, upholstered seat and PA-armpads. 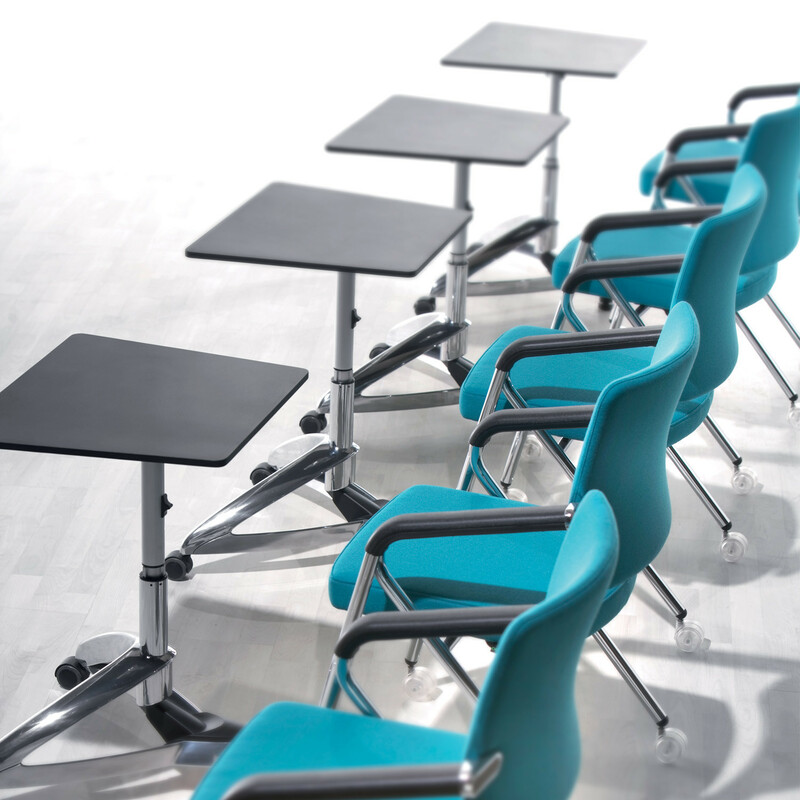 All the versions of the Join Me Chairs feature a round tubular steel frame finished in silver powder coated or chromed and are easy to move around as they are based on castors. 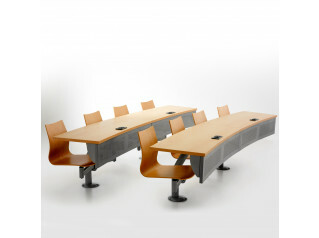 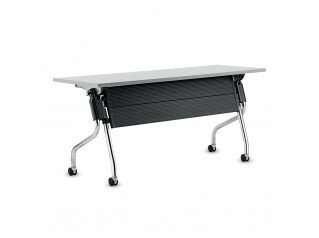 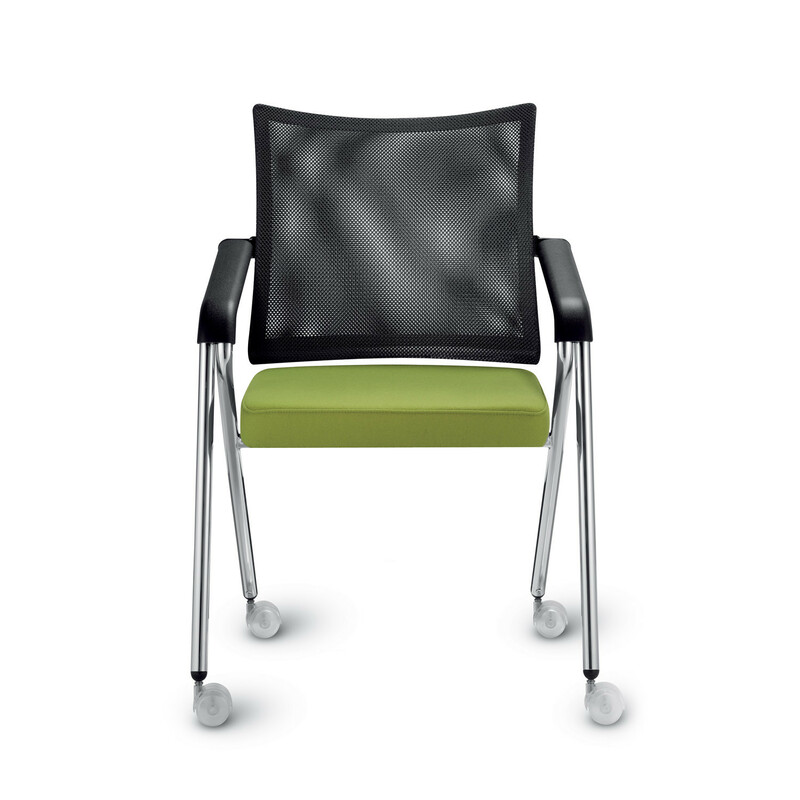 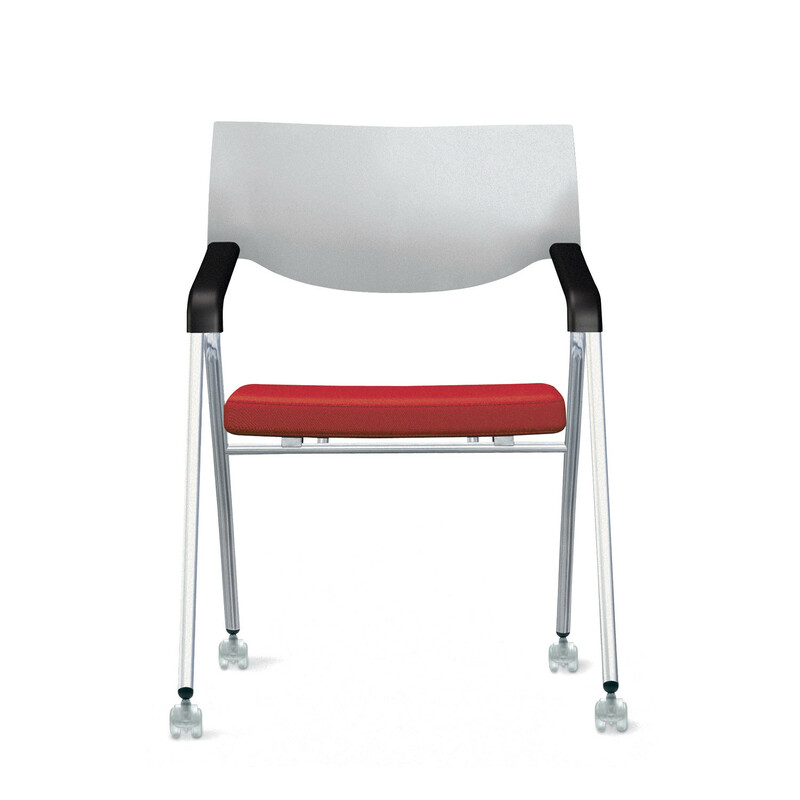 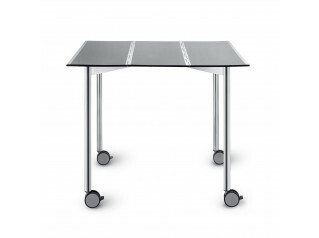 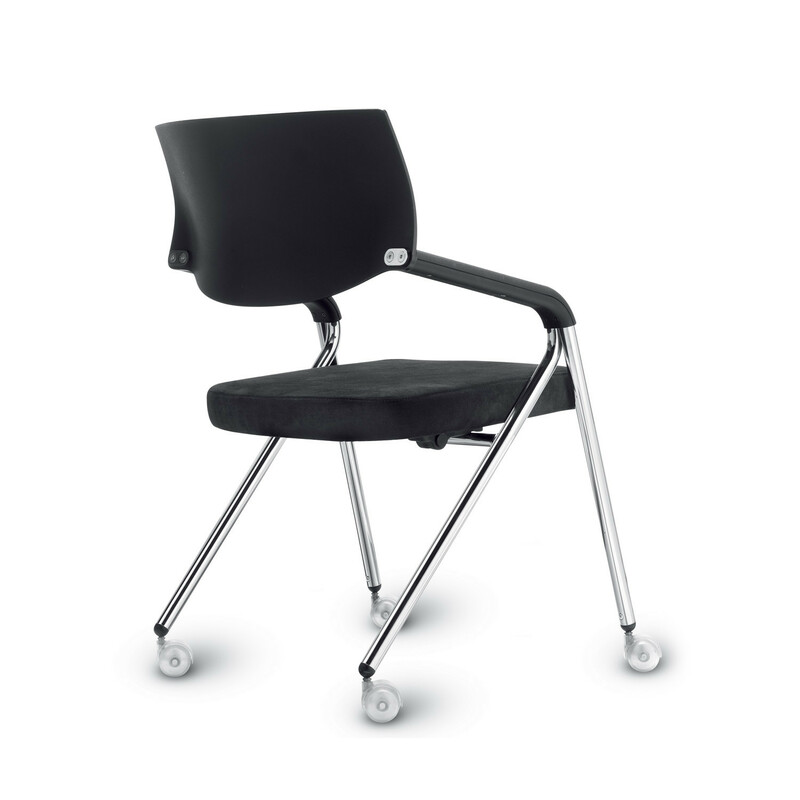 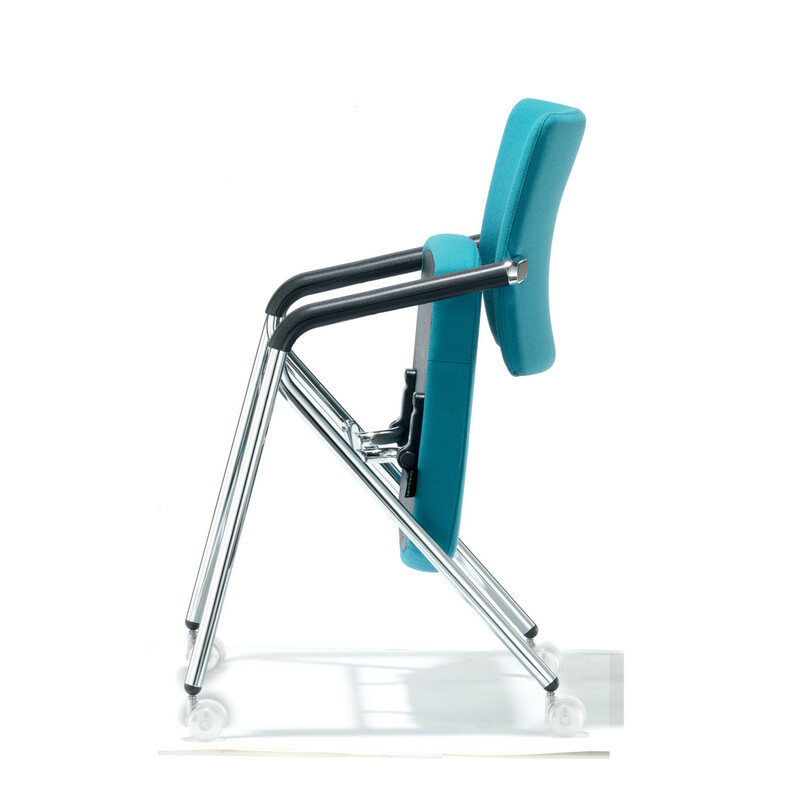 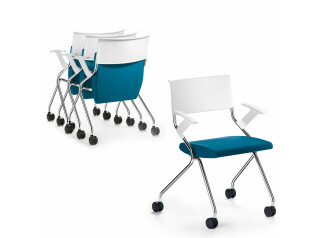 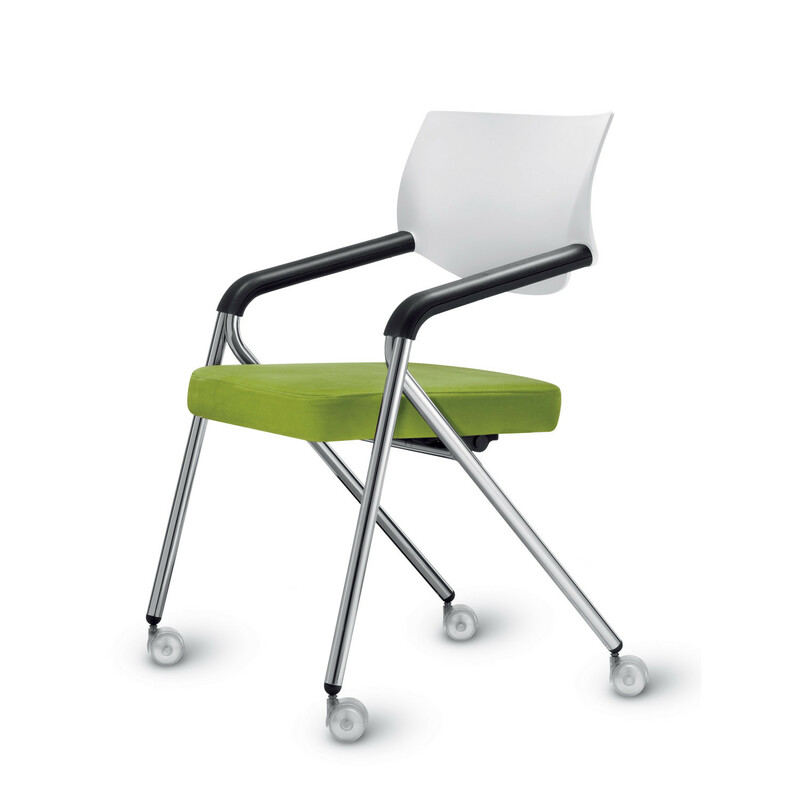 Foldable, Join Me Chairs are also a great solution which helps saving space within the office. 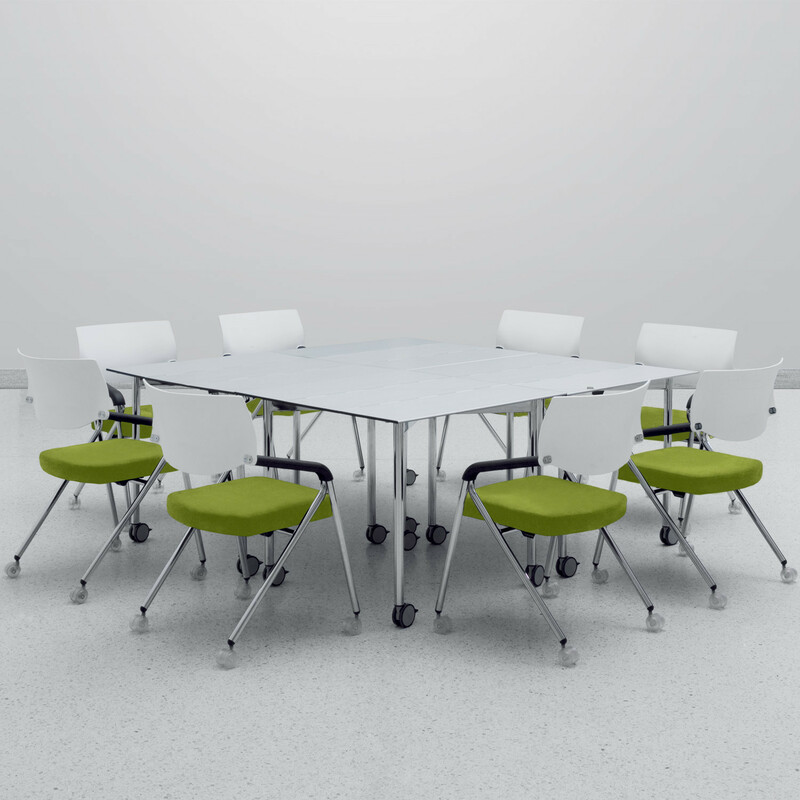 Join Me Chairs can be either combined with the Join Me Nesting Tables or Join Me Training Tables, from the same line, or with the Dolphin Laptop Table. 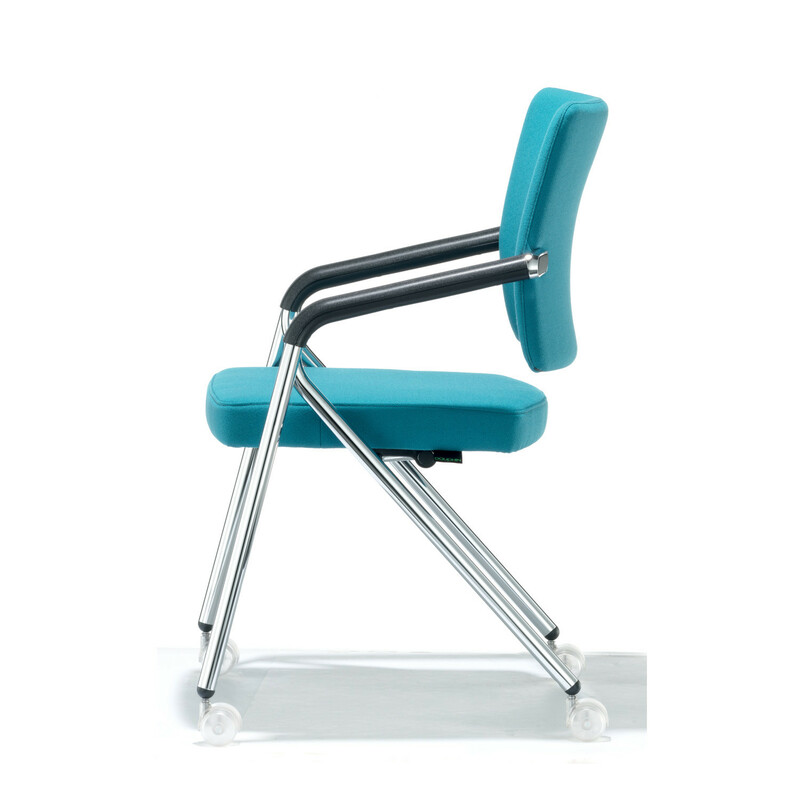 You are requesting a price for the "Join Me Chairs"
To create a new project and add "Join Me Chairs" to it please click the button below. 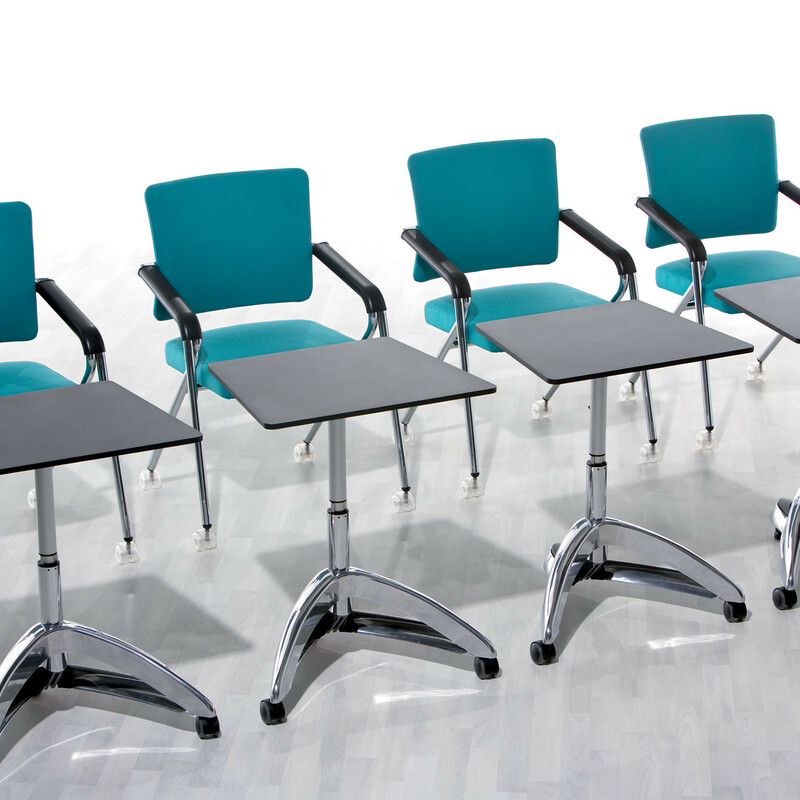 To add "Join Me Chairs" to an existing project please select below.